The Advanced Manufacturing Growth Centre (AMGC) has partnered with St.George Banking Group and UNSW Sydney to advance Australian research and accelerate the introduction and commercialisation of new manufacturing technologies. The new partnership brings together three different streams of the Australian economy – research, industry and banking – to help Australian manufacturers transition to the digital age in order to build their business and compete globally. “To improve our country’s innovation and competitiveness, manufacturers need to become highly-integrated, collaborative and export-focused so we can provide high-value, customised solutions to global supply chains,” says Mr Michael Sharpe, State Director of AMGC. Matthew Kelly, Head of Manufacturing and Wholesale at St George, says digitisation, data, automation and new materials are driving the re-emergence of manufacturing in Australia. Professor Gangadhara Prusty, Director of UNSW-based ARC Centre for Automated Manufacture of Advanced Composites (AMAC), says the collaboration will deliver significant benefits for potential partners by giving them access to the nation’s most advanced manufacturing facilities. 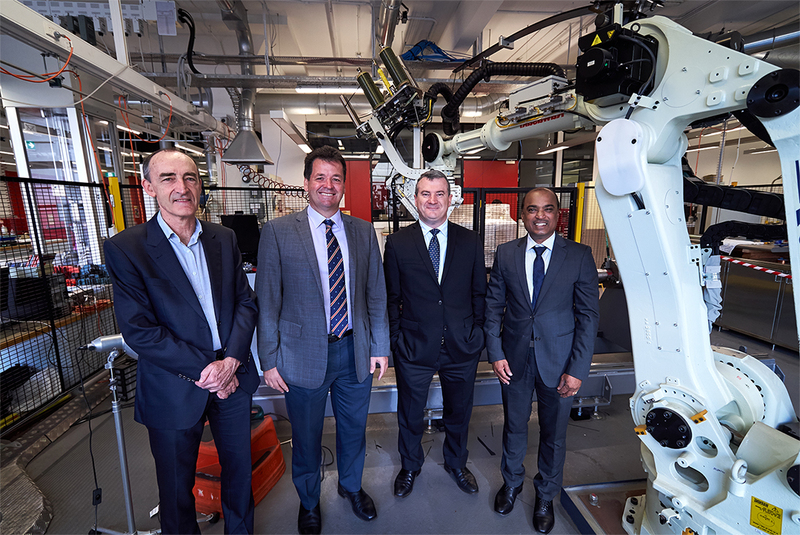 .“This partnership will enable St.George customers and AMGC members to leverage technologies developed at UNSW and take advantage of the University’s skills and expertise in the engineering field,” Professor Prusty says. St.George manufacturing customer, Clem Tacca of Tacca Industries in NSW will be one of the first customers to reap the benefits from this new collaboration. “St.George has been backing us for years so we’re thrilled to be connected to UNSW and the AMGC to see how we can benefit from cutting-edge research and drive even greater efficiencies and scalability across our family’s business,” Mr Tacca says.